Kids are often stressed with the busy-ness of everyday life. Then need a way to take a break and return to a state of balance. Meditation can help! The American Academy of Pediatrics endorses teaching kids meditation to help ease anxiety and stress, boost confidence, increase a calm awareness, and ease physical discomforts. Where to start? You CAN teach kids meditation in simple ways. 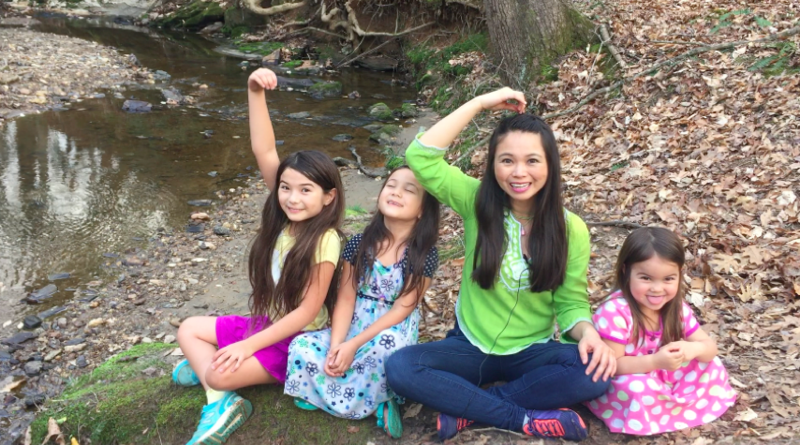 Created by Dr. Dijamco and her sister Angeline DeLaurentis, a PhD in developmental psychology, this course shows kids, parents, and teachers different meditation exercises and explains how and why they work. Through them, kids (and adults) learn their breath is powerful and they can use it to feel more calm and aware. You and children -- either your own, in a classroom, or anywhere else -- can simply follow along with these fun video demonstrations. These candid videos will demonstrate just how kids follow along, often adding their own creativity. Here, you'll learn key points and some science background behind the art of meditation. There are so many teaching moments besides woven into the meditations..
10 handouts, including meditation scripts and "Dr. Arlene's Notes"
You can also dig deeper into these additional scripts, handouts, and "Dr. Arlene's Notes" that together offer kid-friendly words, movements, stories, and knowledge. You may be surprised by just how much kids soak up! 2. What will I be able to do after the course? Do you want to bring kids meditation into a classroom, quickly and easily? Or, perhaps teach your own kids, or a neighborhood group, a scouts club, sports team, music class or dance company? This course really sets you up! Once you've viewed the demonstration videos, you'll know just what to do. Plus, we've organized the scripts and teaching notes that you can bring with you. 3. What kinds of meditations are included in this course? You are not alone! Each course comes equipped with a its own private community. This is a HUGE bonus. Ask your questions and see what other students have to say! We are also checking in on the discussions regularly and happy to answer questions based on our own years of experience in the preschool and elementary school classrooms and at the All Worlds Health & Pediatrics practice. We are here for you. Although a 1:1 consultation would cost hundreds of dollars, you can get your answers right here in the course for much less. Anytime! The course is open 24 hours a day, 7 days a week! You have lifelong access to the course for as long as the course exists. Technically, you could go through the whole course in a few hours. Some people which watch a video here and there, others will dig all the way through in one go. It's all at your pace. Each video is short enough to go through in just a handful of minutes. To truly savor the course, be brave and put it to action. Kids can be amazing zen masters — they will challenge you in so many delightful ways. This course will fill your tool box with meditations that could take a few minutes or less to experience. Don't feel you have to absorb the whole course all at once! The collection of videos and handouts are amazing resources that you can go back to for a refresher from time to time. 7. Will I receive a certificate? 8. Do you have a money-back guarantee? 9. Who are are the course instructors? "My students love doing meditation in class! and they can help themselves feel better. I've seen students put their hands on their stomachs and breathe deep before a big concert, ask to meditate before taking a test, and sometimes meditate when we need to refocus on the carpet. I hope other teachers try out these exercises in their classes. It makes a big difference in helping the kids feel calm, learn more and be better friends." Created by two sisters, with years of experience and doctoral degrees. Angeline holds a Ph.D. in developmental psychology from the University of California Los Angeles (UCLA.) She also majored in psychology at the University of Pennsylvania (U. Penn) with a double minor in Spanish and anthropology. Her greatest joy is being a mom of three – two girls and one boy. It was her own kids that motivated her to teach tools for coping and calming in the preschool and elementary school. This course is sprinkled with anecdotes gathered from her years of experience. Soon the kids she taught became the teachers themselves, as they passed along the meditations to their siblings, parents, and friends. In this way meditation for kids is a gift that keeps on giving. teaching kids meditation to help ease anxiety and stress, boost confidence, increase a calm awareness, and ease physical discomforts. Angeline holds a Ph.D. in developmental psychology from the\nUniversity of California Los Angeles (UCLA.) She also majored in psychology at\nthe University of Pennsylvania (U. Penn) with a double minor in Spanish and\nanthropology. Her greatest joy is being a mom of three – two\ngirls and one boy. It was her own kids that motivated her to teach tools for\ncoping and calming in the preschool and elementary school. This course is sprinkled with anecdotes gathered from her years of experience. Soon the kids she taught became the teachers themselves, as they passed along the meditations to their siblings, parents,\nand friends. In this way meditation for kids is a gift that keeps on giving.